It is accepted by the Department of Energy that installing radiant barrier in the attic can reduce heat gain through the ceiling by up to 42%. This reduced heat load can result in savings of up to 17% on cooling utility bills. 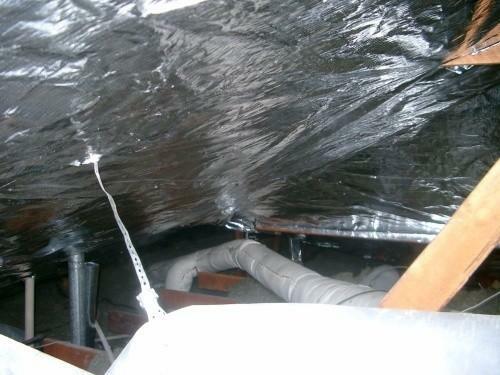 In the summer it blocks most of the radiant heat from penetrating insulation and heating up your house. In the winter it will reflect some of the lost heat back towards the living area of your house. Several of our customers have taken the time to compare electric usage, weather data, and calculate savings after installing ARMA FOIL™. Although we can not confirm this, they have reported attic radiant barrier cost savings ranging from 12% up to 39% on usage. 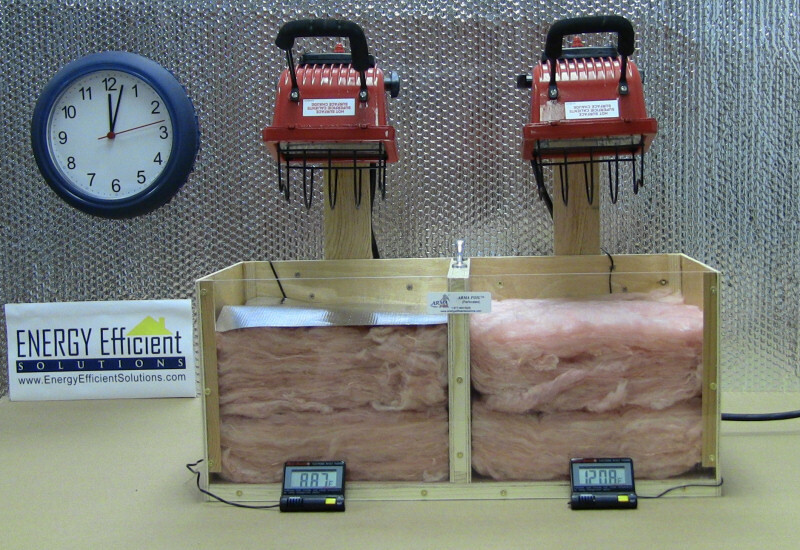 This simple demonstration helps to show the effect that ARMA FOIL™ radiant barrier has when applied to the outside of the regular insulation. Both sides have R-30 fiberglass insulation with 75 Watt lamps shining on them. The left side of the box has a single sheet of ARMA FOIL™ radiant barrier laid on top of the insulation. You can see how much radiant heat has been blocked by the thermometers on each side. The right side without ARMA FOIL™ reads a temperature of over 120™F, while the side with ARMA FOIL™ only reads 88.7™F. To produce a clear image, the lights were turned off just before the picture was taken.